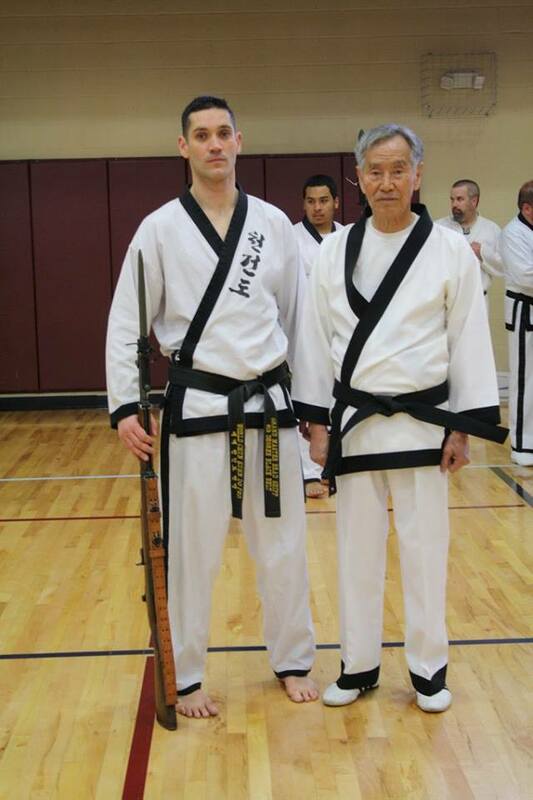 Grand Master Shipp has over 30 years martial arts experience and has been teaching for the past 20 years. He began training martial arts in St. Louis, Missouri at Kim’s Academy of Tae Kwon do in 1988 at the age of 11. After three years of concentrated study under the direct supervision of Supreme Grand Master Bok Man Kim he attained the rank of 1st Degree Black Belt. As a teenager, Grand Master Shipp showed promise as a martial arts instructor and was promoted to assistant instructor and assisted the Supreme Master in teaching classes and training the demonstration team. In 1995 Grand Master Shipp moved from St. Louis, MO to Seattle, WA to begin training in Jungyae Moosul under Supreme Grand Master’s son Grand Master Won Kuk Kim. During his intense training in Jungyae Moosul Grand Master Shipp became a certified instructor as well as a Survival Training Instructor. Survival training included: Mountain Survival, Ocean Survival, Desert Survival, Snow Survival, and Rescue Survival Training. In 1997 Grand Master Shipp attained the rank of 2nd Degree Black Belt in Jungyae Moosul and 4th Degree Black Belt in Tae Kwon Do. It was at this time he opened his first martial arts studio in Woodinville, WA. In 2000 one of the Senior Instructors of Jungyae Moosul took over the Woodinville Academy and Master Shipp moved back to St. Louis, MO. 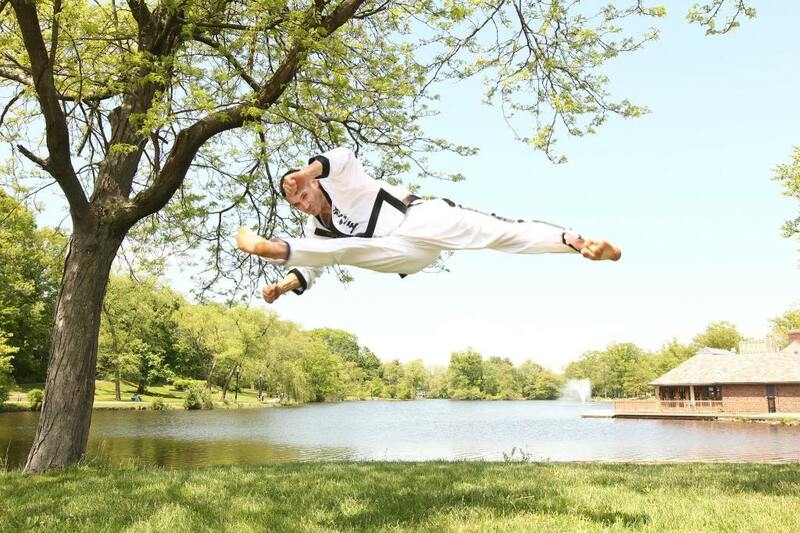 Master Shipp opened his second martial arts studio in O’Fallon, MO. One year later he attained the rank of 4th Degree Black Belt in Jungyae Moosul and 5th Degree Black Belt Tae Kwon Do. In April of 2008 Grand Master Shipp opened third martial arts Studio in Roseland, NJ. This location is being supervised by Supreme Master Bok Man Kim. Founder of World Chun Kuhn Do Federation. In September 2009 Grand Master Shipp visited Seoul Korea to participate in a lecture on Tae Kwon Do at Yong In University. In September 2011 Grand Master Shipp visited Singapore to assist Supreme Master Bok Man Kim in teaching a Chun Kuhn Do seminar to the leaders of the Tae Kwon Do community. In September 2013 Grand Master Shipp visited Derby, Kansas to conduct a seminar and establish the Kansas Chun Kuhn Do Association. In May of 2014 Grand Master Shipp visited London, England to conduct 3 seminars and conduct testing for 4th and 7th degree black belts. He also met with the leaders of the World Chun Kuhn Do Federation UK to set up future events. In September of 2015 Grand Master Shipp visited The Netherlands to assist Supreme Master Bok Man Kim in teaching a 2 day International Instructors Course for ITF, Headquarters Korea. In April of 2016 Grand Master Shipp visited Moscow, Russia to conduct a technical seminar on Taekwondo as well as attend the World Championships. In November of 2016 Grand Master Shipp visited Puerto Rico with Supreme Master Bok Man Kim to conduct a 2 day seminar for the World Chun Kuhn Taekwondo Federation. In September of 2017 Grand Master Shipp coached four students: Valerie Genis, Michael Genis, Justin Capizano, and Cody Capizano at the World Championships in the Netherlands. We earned 3 gold medals and 1 bronze medal for Team USA. In February of 2017 Grand Master Shipp visited Boscobel, Wisconsin with Supreme Master Bok Man Kim to conduct a technical seminar on Chun Kuhn Taekwondo. This seminar led to the creation of the Wisconsin State Chun Kuhn Taekwondo Federation. In July of 2018 Grand Master Shipp visited Seattle, Washington with Supreme Master Bok Man Kim to conduct a technical seminar on Chun Kuhn Taekwondo. This seminar led to the creation of the Washington State Chun Kuhn Taekwondo Federation. In September of 2018 Grand Master Shipp and Supreme Master Bok Man Kim visited Austria and the Czech Republic to conduct a technical seminar on Chun Kuhn Taekwondo. Students of Complete Martial Arts believe they are very fortunate to be able to train under the oversight of a Grand Master who is totally dedicated to their students and the Martial Arts.